Mel Stampz: À la Peanut Butter Ink-Resists! À la Peanut Butter Ink-Resists! 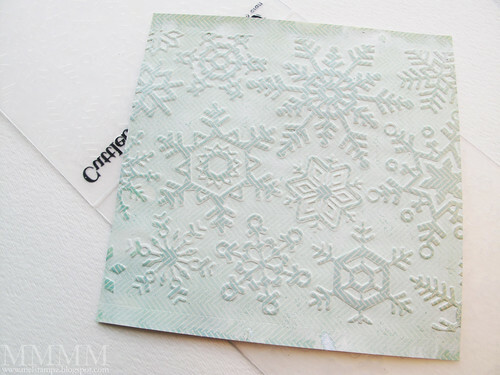 Pressure embossing does seem like some kind of magic, doesn't it? to transform it into gorgeous glassiness instantly. doesn't it all feel some kind of crazy-fun alchemy? 2) Heat embossing (and the resist technique). 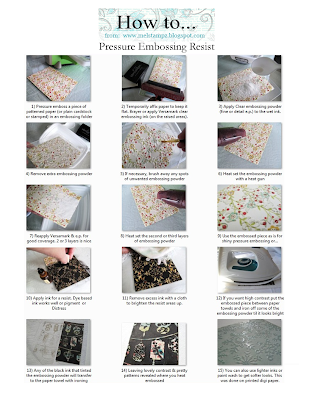 Step 1) Pressure emboss a piece of patterned paper in an embossing folder. 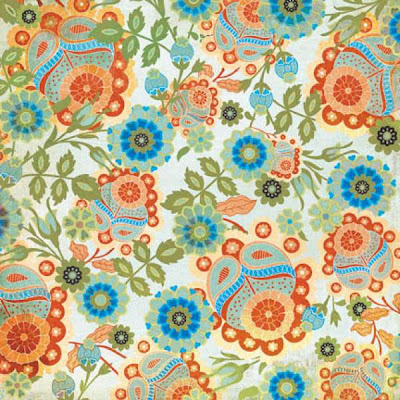 (The one shown here is a Stampin' Up folder Vintage Wallpaper. A gift from the world's best BFF). 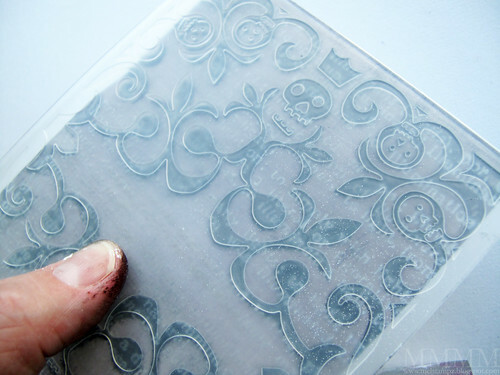 Step 2) Apply clear embossing ink. Some Tips: I like to temporarily affix the paper to keep it flat Temporary adhesive or rolled pieces of scotch tape. Then brayer Versamark clear embossing ink onto the raised areas (or carefully dab the Versamark pad directly onto the paper, if you don't have a brayer). 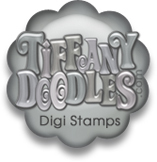 Step 3) Apply Clear embossing powder to the wet ink (I like fine or detail embossing powder best). Step 4) Pour off the extra embossing powder. Step 5) Brush away any spots of unwanted embossing powder, if there are any. Step 6) Heat set the embossing powder with a heat gun. Step 7) If you want high contrast to your resist (where the bright areas are nice and bright) then you might like to reapply more Versamark & embossing powder for even coverage. I find that 2 or 3 layers is good. 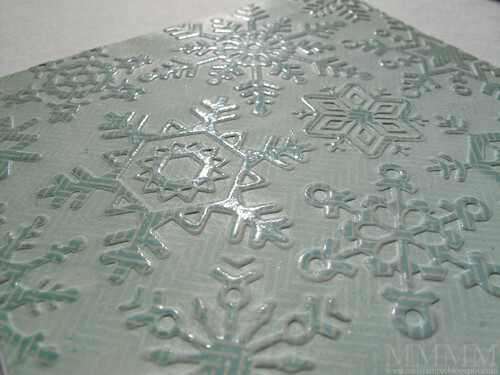 Step 8) Then just heat set those second or third layers of embossing powder. Step 10) Apply ink for a resist. Some Tips: Be sure to let the heat embossing cool completely before inking for the best results (only takes a minute or so). I like to work with an ink dauber or sponge in circles to get in the little grooves. Dye-based ink works well but Pigment inks or Distress inks will work as well. Step 11) Remove excess ink from the clear resist areas with a cloth. 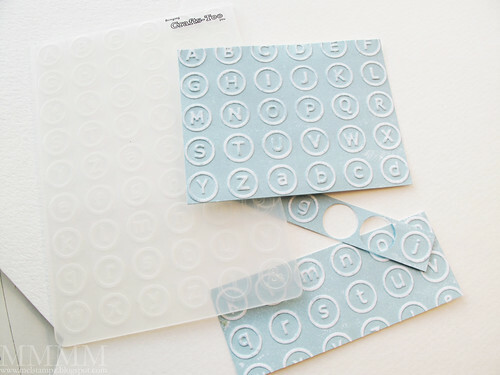 A Tip: If you don't want to remove all of the embossing powder and you don't want the texture of the paper towel to imprint itself into the clear heat embossing, you can sandwich your piece in copy paper and then iron. Don't sweat it. Enjoy the serendipity! That natural messy artistic look is so hot right now. you might be bored with or not sure how to use. & heat embossed in clear embossing powder. (This is Provocraft's Skeleton Scroll folder). 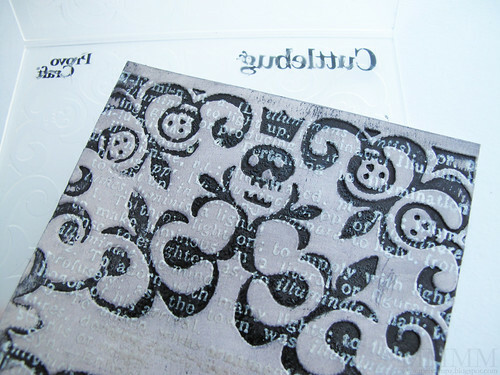 Re-embossing like this works even after heat embossing. (more flatness) You can squish it! Of course, it need not be limited to a dark look. & instead of black ink, I used a paint wash of white acrylic paint & water. (if you wipe as you go with a damp cloth) and the pattern pops. Provocraft's Cuttlebug Winter Wonderland Set). (The folder is Small Alphabet from Crafts Too). A Tip: Some thin or fragile papers may work best if you glue them to cardstock first. My favourite adhesive for this is a layer of gel medium (or matte medium) not too thin, not too thick. 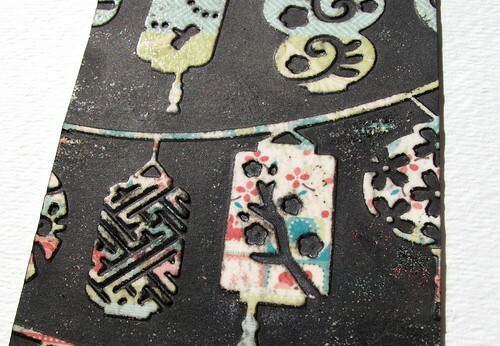 If you get tearing in your paper, try embossing two pieces at one time as a fix. "One! One kind of embossing! Ah Ah Ah! Two! Two kinds of embossing! Ah Ah Ah Ah Ah AH! Oh, I love it! Ah Ah Ah AH!" Thanks for the great tutorial. I have done a little of this, but you have taken it further. I shall be doing some more experimenting. I particularly like the idea of using up patterned paper. If this is insanity, I'm with you Mel. Thanks for a great tutorial, much apreciated, I have the day to myself so will give it a try. AWESOME!! I think I like the first best though...I think because of the high contrast between them. Beautiful! Really appreciate the tutorial. I'll have to give it a try. Luv your little helpers from Sesame Street. Oh my~~!!! Simply gorgeous! You are the most brilliant magician evah! WOW!!!!!!! Love Counts, too. Hehe. Love your "helper"! Thanks soooo much for this! You added all sorts of little tips that I'd either forgotten or never figured out. Brilliant! Another way to get rid of some of that ugly DP I've ended up with. thank you so much for enlightening us with this brilliant idea! 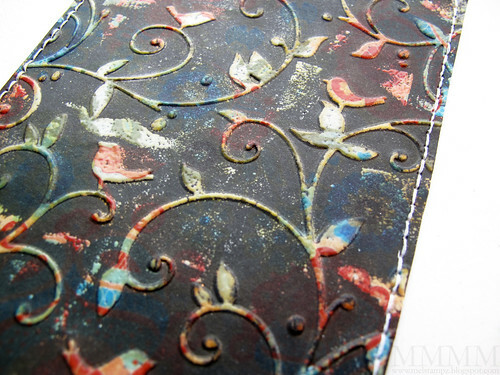 Love the result and this experiment has opened up to so many possibilities with embossing folder and inking. This is beautifully awesome!!! Thank you so much for sharing this grand idea! Amazing Mel!! It looks like so much fun and I love the look of the one that you ironed! bwahahaha...I don't know what I like more... your beautiful technique or your hilarious PS'd muppets! You goof!! haven't done that technique in a while, you've got my creative juices flowing now! 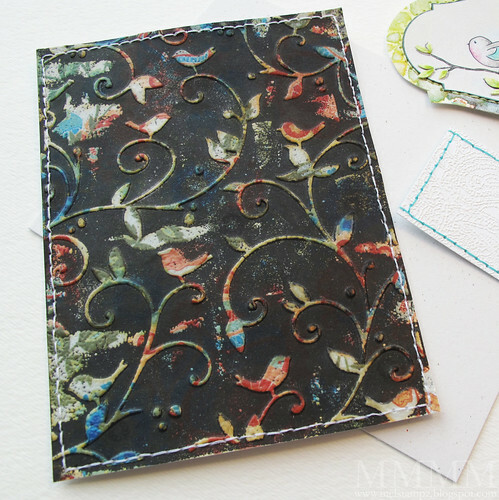 I couldn't wait to see your tutorial for this type of embossing. I LOVE the effect and will be trying it myself ASAP! Thanks for sharing. Too funny! Technique is great too! Mel, this is stunning! Im trying this! A la Peanut Butter turns into Razzle McDazzle! Love it Mel! Thanks for the tutorial. It looks like fun. I can't wait to try it. what a great technique! it looks fabulous! TFS!! Hi Mel...blimey you do a whole load of stuff with paper that I never even knew existed. 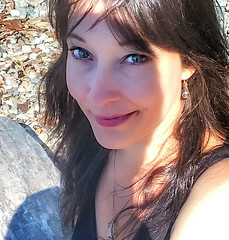 Anyway, I have now added your site to my reader so can stay in the loop....yippee! Your tutorials always rock!!! Even though I too have done emboss resist before I always learn something new from you!!! That Brayer is GENIUS!!! :) Just love your stuff! Beautiful results from an amaZing technique!!! Your tutes are always so clear & I learn so much from them. Thanks for that! Also, the whole a la peanut butter sandwich thing has me laughing!!! What a great technique! 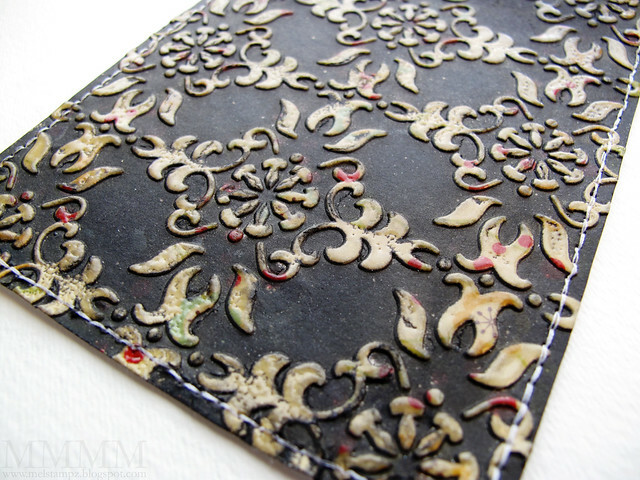 I am always glad to find a use for those patterned papers that are hanging around in my stash. 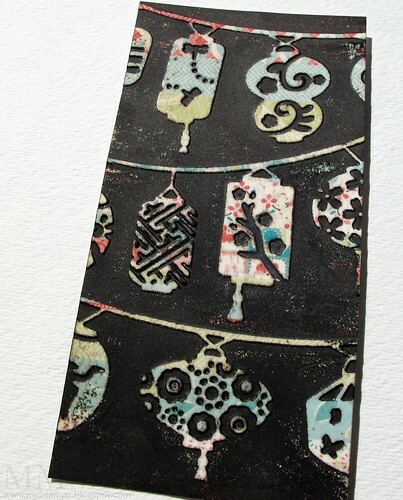 you are so cool - I was trying to do it by wiping the ink pad over - never though of using my brayer - doh!!! You are a magician indeed! Such gorgeous-ness and the process is undoubtedly as much fun as admiring the end result. Thanks Mel! Such a fun post Mel!I can't quit staring at how very different each example looks! I will have to give this one a try for sure! this tutorial is fabulous... thank you very much.. I am gonna try this today. thank for the great tutorial. Wow! Thanks for the tutorial and ESPECIALLY thank you for the ONE PAGE pdf. Wish everyone would condense. Thank you, thank you, thank you. You're magic, Mel. :) Somehow you've taken something that didn't really appeal to me (the original paper) and made it fantastic.... You ROCK! What an awesome technique. Thanks for the very detailed tutorial. This was GREAT! I love not only the wonderful technique you showed, but I love the clear steps and your sense of humor. 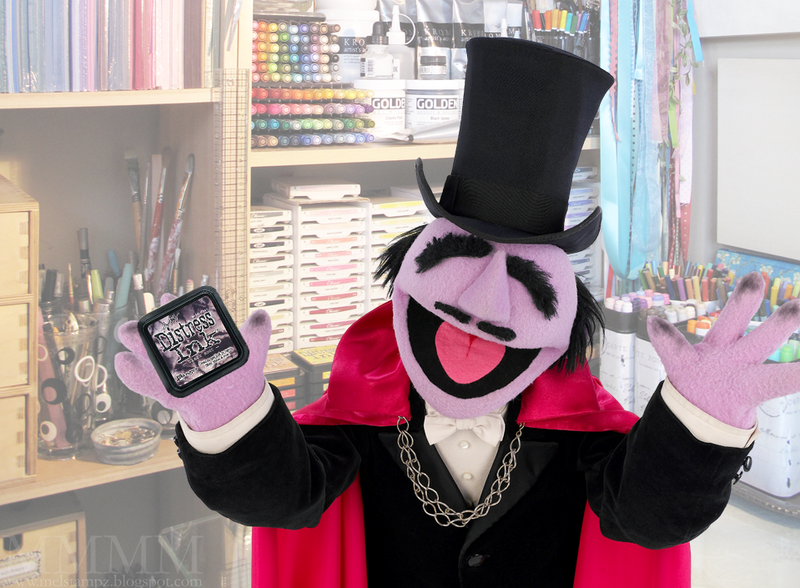 The Count rocks! How inspiring! I love all the details in your tutorial. Especially the tip about using several layers of powder, and then removing the top stained layer. Genius! Gorgeous work! Very creative and inspiring! Thanks so much! Awesome tutorial! I have plenty of papers that were bought for the great price but aren't really what I like. This technique should make them a lot more interesting! You are a genius! A la peanut butter sandwiches! Fabulous tutorial. I love that you show all the variations and riff with it! I'm going to have to give this technique a go! LOVE this tutorial! I have a question...how do you emboss on a 12x12 piece of paper? As in the snowflake example. I have a big shot machine. 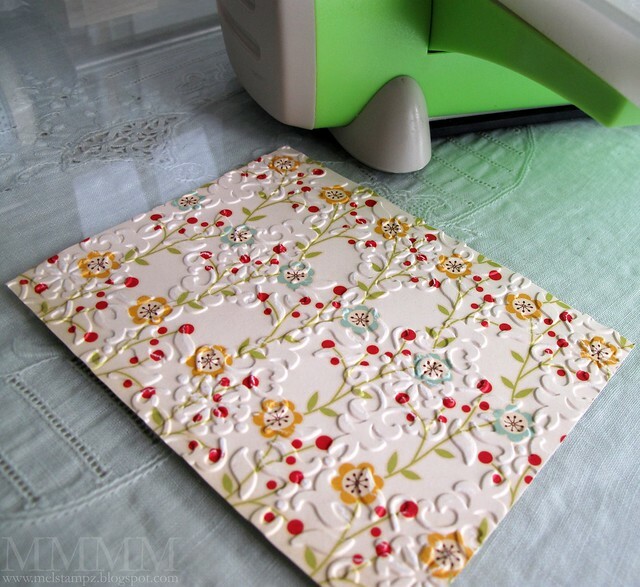 Do I need a different type of embossing machine to do the 12x12 sheet size? Thanks in advance! This is a wonderful tutorial. Thank you for all the great one by one picture steps, but most of all, thank you for the one page reference page at the end. I am looking forward to trying this process in my she-cave. Brilliant!!! What a fabulous way to transform a not so pretty piece of patterned paper!!! awesome! What an awesome tutorial. I've done the technique many times but you have provided great instructions with clear and understandable step outs. 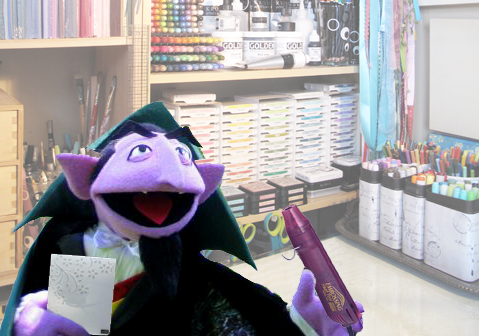 I plan to share this post with my crafty friends. Thanks for sharing this technique, it is a very smart way to preserve part of a drawn or a pattern. I still don´t know how, but I feel that one day I will use it in my jewelry clay. Incredible! Thanks for the info ! What fantastic ideas! You have inspired me to go and tidy my study so I have room to try them out! Brilliant, gorgeous! 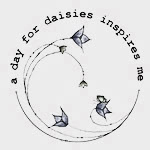 I had somehow not visited your blog for a while and came here today via Jann Gray's blog. OMG! I have missed a lot, I need to visit you every week. I have a question though. In step 9, the heat embossed area is white/clear. In step 10, they look yellow or golden. I thought you applied a dark ink in step 10, so I don't know why the embossed area looks yellow/gold in step 10. Please clarify. Thanks for the detailed tutorial and tips! You are so generous! Great tutorial! You never cease to amaze me. You have taken this technique to another level and I will try this with some old forgotten papers. Thank you for sharing. Awesome tutorial Mel...loved it...thanks for sharing! Thanks for sharing the wonderful tutorial! Looking forward to try it! !